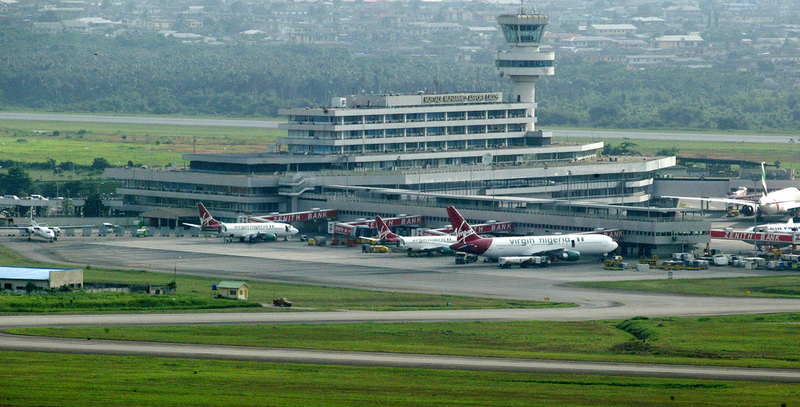 The Nigerian Civil Aviation Authority (NCAA) has declared that no airport has been fully certified in the country. It also pointed out that the non-prescription of age limit for licensing of aircraft in Nigeria encourages indiscriminate registration of aircraft of any age. These revelations came to light at the public hearing organised by the Senate Committee on Aviation following the crisis trailing the procurement of two bulletproof cars for the Aviation Minister, Ms. Stella Oduah. These are worrisome revelations. It is strange to learn that none of the nation’s airports are fully certified. This is most unexpected, especially coming against the background of the much-vaunted rehabilitation and remodelling of our airports. While it is normal that there are different categories of certifications for airports, and some of our airports may have attained some of these, it is unacceptable that not a single airport in Nigeria has attained full certification. This should be a challenge to our aviation authorities. It is necessary to go beyond partial certification to full certification of our air stations. Nigerians expect the highest levels of worthiness for our airports, to improve air safety. This is more so at this time that so much money is being committed to the remodeling of these facilities. We do not expect half measures on the certification of airports and relevant paraphernalia such as tarmacs, floodlights and navigational aids. Everything that is necessary should be done to ensure that our airports are of international standard. It is also news that the Federal Government is, up till now, still planning to set a 15-year age ceiling for aircraft used for domestic flight operations in Nigeria. For now, the age limit is 22 years, which some airlines observe in breach! This proposal on the 15-year limit came up at the recently concluded African Aviation Stakeholders’ Conference held in Abuja. From all indications, this idea on reduction of aircraft age in Nigeria is a reaction to the bulletproof vehicles saga. Is it not odd that we had to wait for this kind of scandal to take place before tinkering with aviation policies as they affect aircraft used in Nigeria? In other countries, this is a routine exercise by regulatory and supervisory agencies charged with such responsibilities. We do not know the parameters that informed both the current 22 years and the 15-year suggestion. The adjustment from 22 to 15 is not even very significant. We are of the view that a lower benchmark should be ideal, especially against the background of our nonchalance to fleet maintenance and other tangential matters. Most times in the past, accidents had been attributed to poor maintenance of aircraft to cut operational costs at the risk of passengers’ lives. There is a callous culture of poor maintenance, not just in airline business, but all other segments of our national life. Other pertinent aspects of our aviation sector, which transcend aircraft age and airport worthiness and certification, are the history (which of course includes pattern of usage), make/model of aircraft, pilot certification and the qualification of the engineering crew at all operational levels. All these determine the safety profile of aircraft and airspace. At the basic level, we take it for granted that navigational facilities and ground personnel cannot be found wanting. Once this foundational element of flight business is not okay, there can be no guarantee of accident-free flight operations, even if brand new aircraft are deployed. In other words, good airports and human factor count so much in airline business. It is good that the latest incidents in the aviation sector have brought renewed focus on safety. This focus should be maintained to ensure that sound policies are put in place to improve safety in the industry. Attention on aviation safety should not be limited to when there are problems in the sector. Let our airports and aircraft be of acceptable standard. Apart from the aircraft age review on the drawing board, the government should evolve stringent safety measures and strengthen existing operational guidelines to curtail accidents in this mode of transport that is touted as the safest means of movement of people and goods from one point to another. We commend the Federal Government for considering changing the age of aircraft used for local operations from 22 to 15 years. This, alongside other measures, should reduce incidence of avoidable crashes. All hands must be on deck to ensure overall safety of our skies. Let the planned age change become reality. It should not crash under ministerial bureaucracy or coercive pressure from selfish airline operators who prefer to cut corners. The Ministry of Aviation, in conjunction with the NCAA, must sit up and enforce airworthiness and flight safety stipulations obtainable in other parts of the world. Our airspace must be made safe at all costs. Efforts should be intensified to ensure that most of our airports attain full certification. Hmmm I believe this is the cause of the frequent plane crashes in Nigeria today. How can NCAA allow airports to operate without certification? I pledge to Nigeria my country to be faithful ,royal and honest ,to serve Nigeria with all my strengh,to defend her unity,and UPHOLD HER HONOURS,God punish the animal that said that oath and don’t do as they pledge and all those in support with them. nothing in nigeria is safe why bcos every body now prefer fast lane than to work and earn with patience.